Russian airline Nordavia and Lithuanian MRO provider FL Technics have signed a maintenance contract for the carrier’s Boeing 737-500s. The deal covers all of the operator’s nine ageing airliners of the type, FL Technics reports. FL Technics will be responsible for the airframe and engine maintenance planning and management, engine condition monitoring, services required to meet airworthiness directives and service bulletins, and also for reliability analysis. 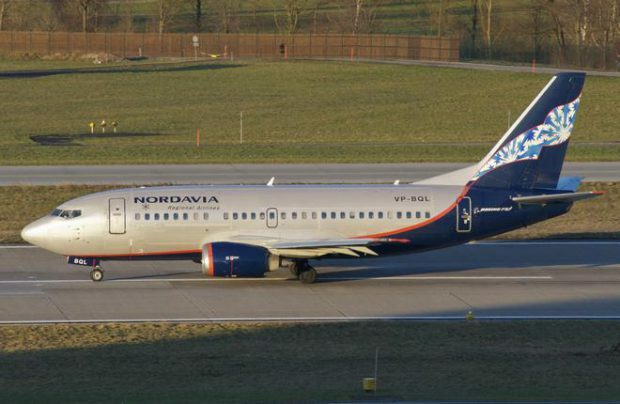 Nordavia is the owner of all its nine 737-500s. Next year the carrier intends to phase out two of these, built in 1990 and 1993, as their operating costs are growing unjustifiably high. The Lithuanian provider holds EASA Part M Subpart G and Bermudan OTAR 39 approvals. In the future FL Tehinics might be contracted to support several Airbus A320s which Nordavia expects to be delivered this year. According to earlier announcements, the carrier hoped to receive four of the type in May. Apart from the Boeing 737 and A320 narrowbody families, FL Technics is approved to offer continued airworthiness services on Boeing 757 narrowbodies, Airbus A330 and Boeing 767 widebodies, as well as on Bombardier CRJ200, Embraer ERJ 145/170, and Sukhoi Superjet 100 (SSJ100).regional jetliners.